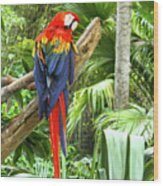 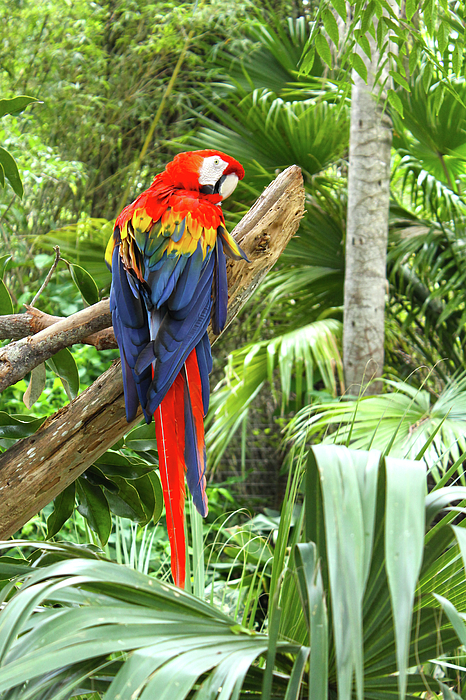 There are no comments for Parrot In Tropical Setting. Click here to post the first comment. 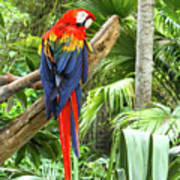 Portrait shot of a Parrot from 'over the Shoulder' featuring long tail sitting on branch in a tropical setting.